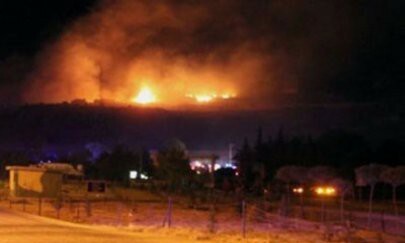 Israel’s attack on the Syrian Naval base of Latakia on the 5th of July, 2013, supposedly launched from Turkish soil, in which Syria’s Yakhont P-800 missile depot was specifically targeted, has ever since been a topic of continuous discussion and debate. Yakhont are advanced anti-ship cruise missiles which were sold to Syria by Russia. Several blasts were heard after the reported Israeli strikes, at this critical Syrian naval base. The Russian television network, RT claimed the attack to be a joint design of Israel and Turkey. 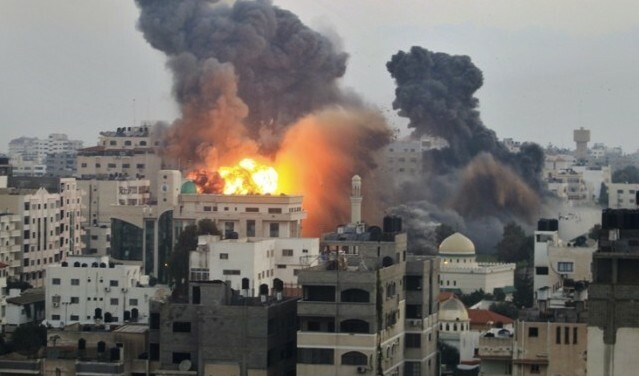 Reports have since emerged that this Israeli attack was launched in close coordination with the United States. The global media has gone into a virtual overdrive with the news of this attack, particularly since it was launched by Israel from Turkey. There have also been conflicting reports in the media about the exact nature of the attack; while a few claim that these were in the form of air raids, some have claimed that these were rocket attacks launched from Israeli submarines. However, reliable sources claim that for the first time in history, Israel used its state-of-the-art fleet of Dolphin-class submarines imported from Germany to launch its attack on the Syrian naval base. The attack is seen as a pre-emptive strike against the Russian-made missiles supplied to Syria which were viewed by Israel as a serious threat to its naval forces and supply lines. These missiles had also raised concerns that they might also be passed on to Lebanese militia organization, Hezbollah, which has openly sided with the Syrian government of President Bashar Assad in the fighting so far. The missiles were seen to not only threaten Israeli interests but also to enhance Syria’s ability to hit Western ships, that could be used to transport supplies to the Syrian rebels, enforce a naval blockade of Syria or support a possible no-flight zone over it. Meanwhile, the governments of Israel, Syria, Turkey and the United States have all avoided issuing any official statement on this incident. In fact, it is worth noting that the Syrian government has altogether denied the occurrence of any such Israeli attack. Rubbishing the alleged use of Turkish bases by Israeli forces for launching this attack, Foreign Minister of Turkey, Ahmet Davutoglu has threatened action against the rumor mongers. The reasons for the denial are obvious as, the publicity of the news of Turkish assistance to Israel, against the backdrop of Israeli raid on the Turkish civilian flotilla, a couple of years back, could foment discontent amongst the masses against the Recep Erdogan government in Turkey. 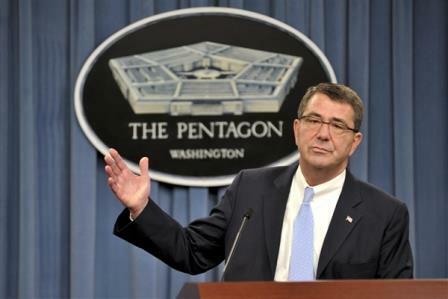 It is also being said that during the various joint meetings and tours, that happened last week, during the visit of US Deputy Secretary of Defense, Ashton Carter, to Israel, the Israeli officials expressed anger and anguish over these media leaks, that they believe, might endanger security of the Israeli nationals and may also lead to a Syrian counter-offensive against Israel. Israeli officials were seen to be perturbed about the lack of co-ordination from the US in the information leakage. Meanwhile, experts have expressed a serious concern at this attack that could have actually been used as a dry run for attack by Israel on Iran. It is said that, Iran has no credible defence against a cruise missile attack, and deployment of those weapons would render tremendous pressure on the Iranian air defence. With the success of Dolphin submarines with the attack on Syria, Israel will now be able to fire cruise missiles from stealth platforms. This is seen to be a game-changer for the Middle East, and it may also be a signal that a strike against Iran’s nuclear program may be on the cards. These attacks have added fuel to an already flared up situation in this volatile region. The tempers in the region already are running extremely high with frequent occurrences of discontents, unrests, military takeovers, change of governments and civil wars. This whole chain of events is sure to destabilize this region and may have far reaching effects on the future course of events. Ambadnya, for the clear and concise description and analysis of the event. Superb article, really eye opening information. The situation in gulf region is really worst and leading towards definite WW3. Very nicely written piece, Dada. Not many newspapers take adequate note of such events. As PP Bapu and you would say, these could be the seeds for the WW III! Though all of us would hope against the calamity and wrath that might follow. Dada, could Dainik Pratyaksha be made available online? i get my copies once in a week after the Saturday upasana for there is no adequate distribution network in Baroda for it. Ambadnya and with request for more such articles on international and economic happenings. It’s one step closer to WW3.